Carved stone (1), Eilean Mor. Incised hexafoil. 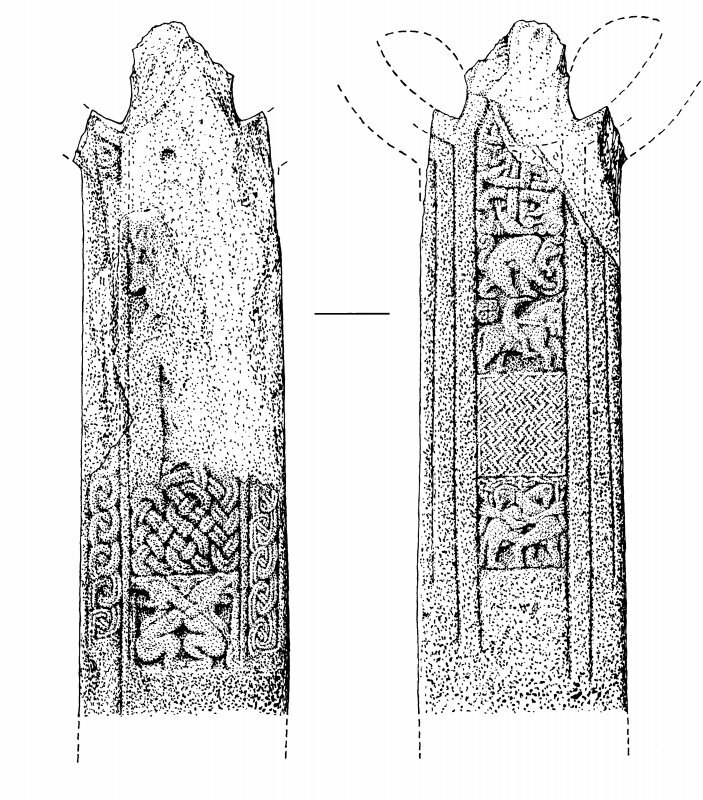 Publication drawing; Eilean Mor, carved stones (1) and (2). 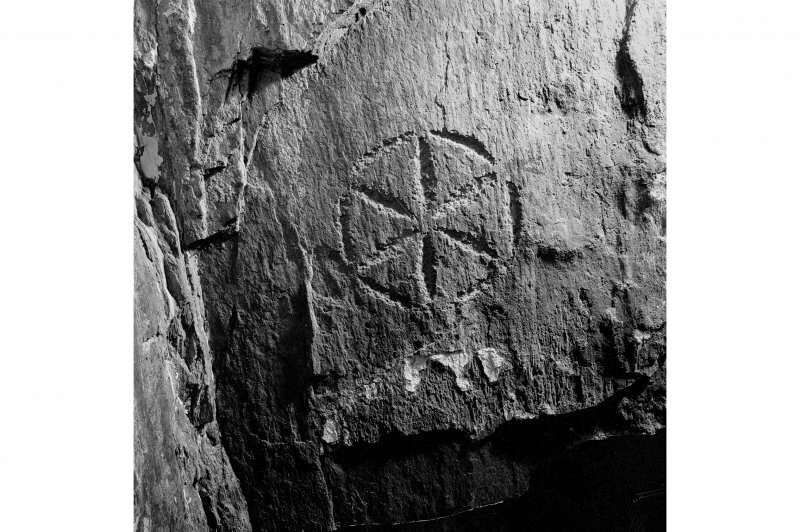 Hexafoil and Chi-rho symbol incised onto cave wall. As described. The remains are known as St Cormac's Cave (DoE nameplate). Near the SE end of Eilean Mor, a gully is walled with thin courses of drystone work, enclosing a rectangular area - the 'cell', described by Donaldson as 11' square, within 4' - 5' thick walls, with a doorway c. 2' wide, to E, and steps. At NW, fallen stones probably cover a passage and entrance to a tiny cave "Uamh nam Fear" now entered from above. 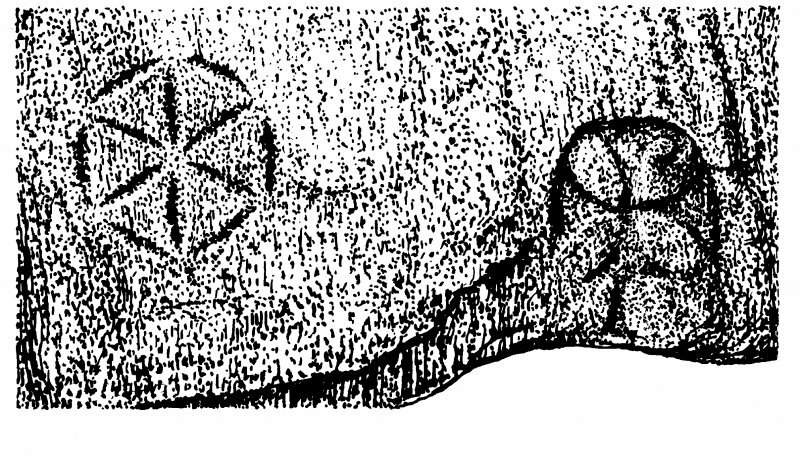 A hexafoil and a Maltese cross are carved on the E side of this cave, said to have been used as a retreat by St Abban. M E M Donaldson 1930; M Campbell and M Sandeman 1964.